We have a new rock in the collection which will help us tell the story of the formation of the Himalayan mountain chain. We are currently developing activities and displays for our Courtyard Project which will include our South Asia Gallery in partnership with the British Museum. 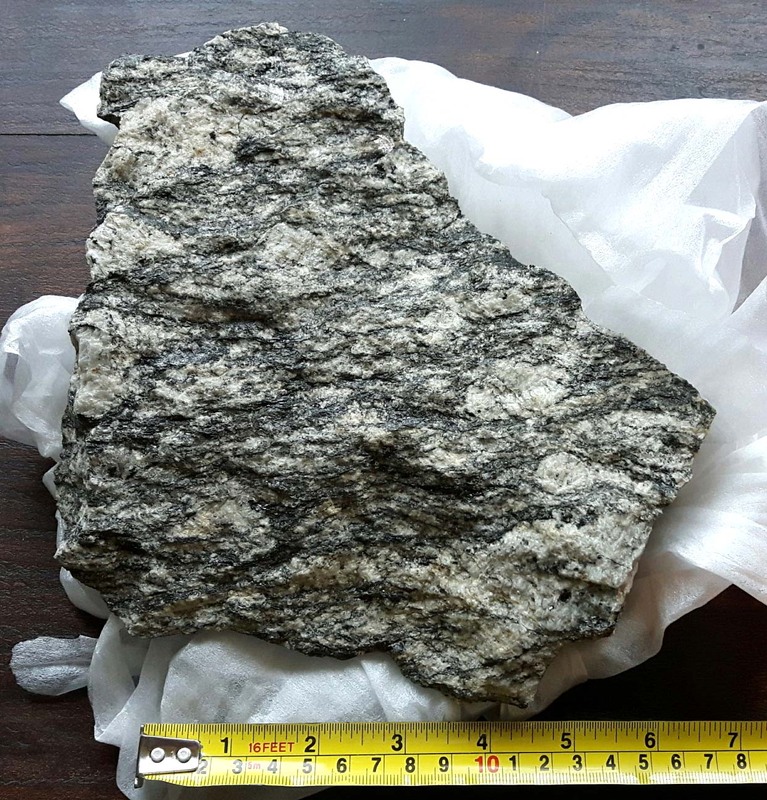 Byron Adams and Frances Cooper very kindly collected the rock for us on a recent trip to Bumthang, Bhutan where they have been studying the interactions between tectonics climate and surface processes. 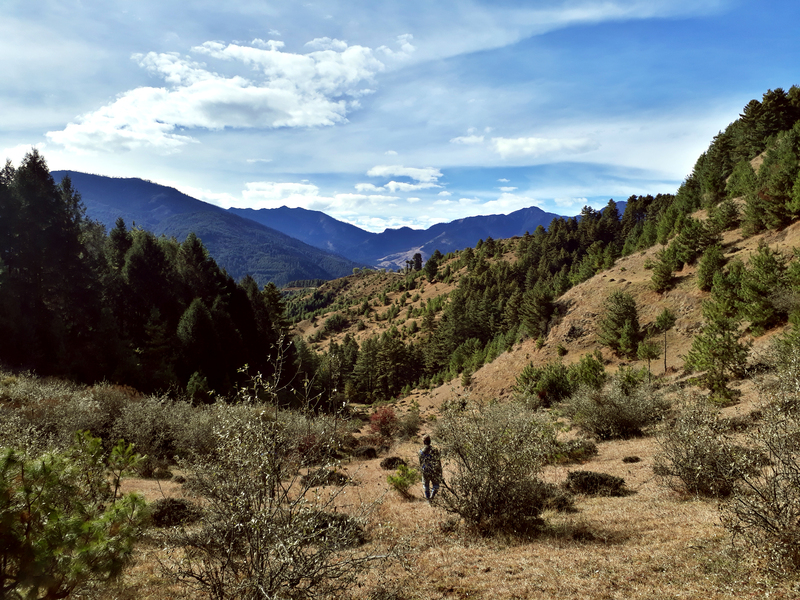 This is our first rock from Bhutan and it is a stunningly beautiful part of the world. Bumthang (which means ‘Beautiful field’), Bhutan 2912m above sea level. Image taken by Byron Adams. 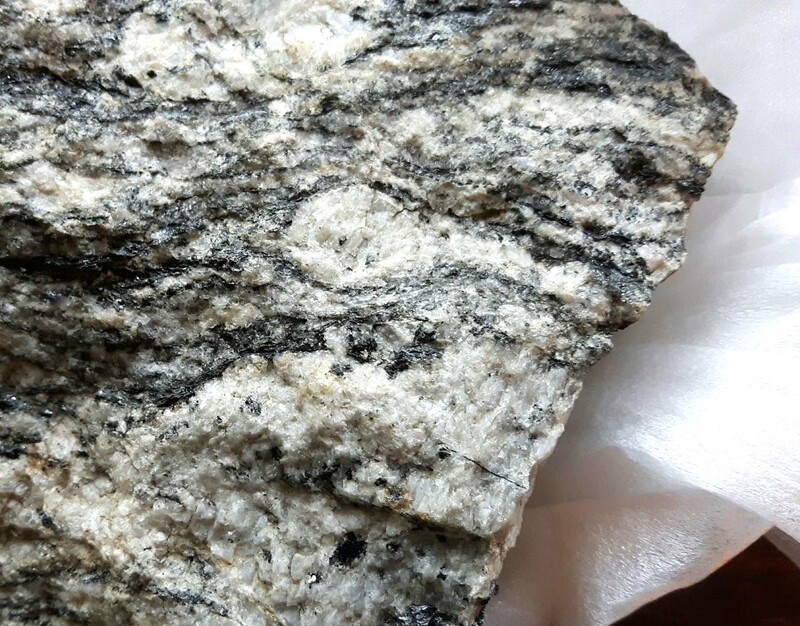 The rock is an example of Augen Gneiss (Augen from the German for ‘eyes’) which forms in extremely high pressure and temperature environments during mountain building. The Augen are the lens-shaped white Plagioclase Feldspar crystals seen in image below. This rock joins our recent acquisition of a piece of Mount Everest piecing together story of the geological history of the region.